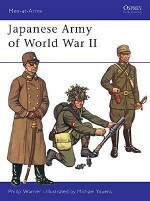 The Imperial Japanese Navy's Special Landing Force units enjoyed a reputation out of proportion to their small size. Often wrongly termed "Imperial Marines”, they were in fact sailors led by Naval officers, and traced their origins directly to landing parties from warships. Their true combat debut was at Shanghai in 1932; thereafter the SNLF expanded and fought in the assaults that followed Pearl Habor in 1941, and were dispersed as island garrisons during the Pacific campaigns. This book describes their uniforms and equipment in unprecedented detail, including color photos of original items from private collections. 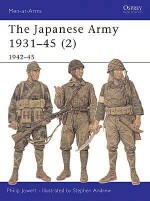 GARY NILA, a law enforcement officer for over 30 years, has collected World War II Japanese militaria for even longer. 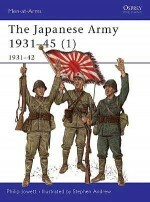 His previous publications for Osprey are "Kiyoe Hosokawa and the USS Wahoo” (Osprey Military Journal, 2002), and Osprey Elite 86, Japanese Naval Aviation Uniforms and Equipment 1937-45. In 2005 he co-authored the Hikoki Publishing (UK) title I-400: Japan's Secret Air Combat Submarine - Objective Panama Canal. Gary lives with his wife Nancy and daughter Allison in Lakewood, CA. ROBERT A ROLFE, who retired after 37 years with the US Postal Service, has collected World War II Japanese militaria for more than 45 years, specializing for the past 25 years in the Special Naval Landing Forces. Robert lives with his wife Carol in Burbank, CA. TONY CHONG, who took the color photographs for the plates in this book, joined the Northrop Corporation in 1984 as a model-maker, and now runs the Display Model Shop for Northrop Grumman's Integrated Systems/ Western Region in El Segundo, CA. He completed his BA in history at CSULA in 1995 with a focus on aviation and military-related subjects. He is a published aviation photographer, though with wider photographic interests; this is his third collaboration with Gary Nila, including Elite 86. Tony and his wife Tina live in Burbank, CA, where they run Skyshadow Studios.